I typically herald in the European cycling season at the Tour du Haut Var-Matin. If the weather’s fine, and it often is, it’s a glorious drive to the neighbouring Var: the racing green of the evergreens, the clear blue sky, the red rocky outcrops and the glorious burst of sunshine yellow from the Mimosa, at their peak. 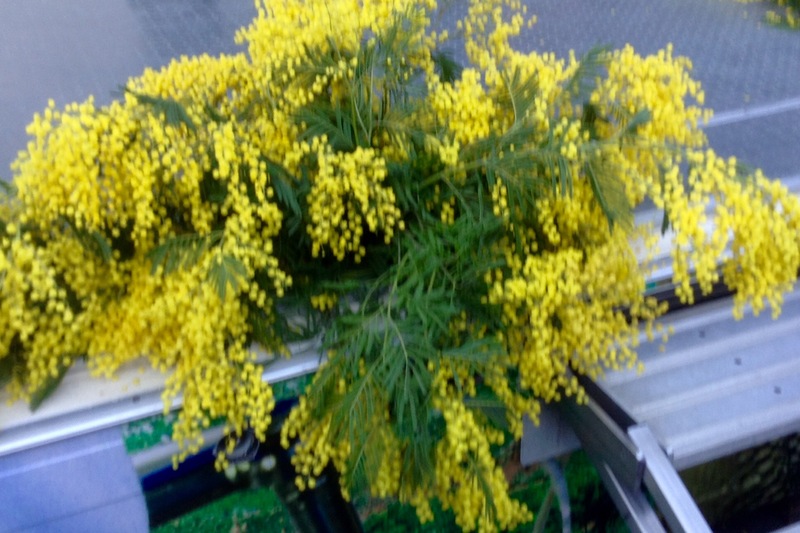 However, a mild winter – I’m not complaining – has seen the Mimosa flower early and it’s now well past its best. Nonetheless, it’s still a great drive and one I did on my own as my beloved elected to cycle to the finish of both stages. The race tends to follow a similar route. Saturday starts in Le Cannet des Maures and with a finish in one of the perched villages preceded by several circuits to maximise viewing pleasure. Sunday’s final stage starts and finishes in the town of Draguigan, again making use of several circuits around the surrounding towns. The locals turn out in their droves but it’s unusual to travel too far to watch live racing. I recall club mates reckoning I was mad to drive an hour away just to watch a race! But it’s no ordinary race. I have friends taking part and there’s nothing nicer than seeing them race and maybe win. You may recall, we saw Amael Moinard (BMC) win Sunday’s stage two years ago. Indeed, his eldest son recalled the moment and when he heard his Dad had escaped from the peloton he insisted on being hoisted on my beloved’s shoulders to better watch the action. Sadly a less than committed break mate and a headwind put paid to Amael’s ambitions. After Tom Jelter Slagter (Cannondale) won Saturday’s stage, with a large number of riders on the same time, Sunday’s stage had everything to play for. Arthur Vichot, lying second, pounced to take his second overall victory here. It was especially nice to see him bounce back from a torrid 2015 and take FDJ’s 400th victory!